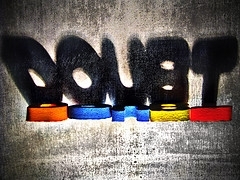 Doubt God? It’s OK, just ask Him about it. Last week I wrote a post on Jeremiah 17:5. The post was about the difference between men who trust in God verses a man who does not. Trusting in God will help you to flourish and feel God’s protection. While this is beautiful sentiment it does not help much when you are in the midst of struggling with doubt. I feel like I trust God a lot but I still experience a lot anxiety about money, resentment against injustice and I still lack clarity in life’s my purpose. Can you relate? Have you had moments in your life where you believe in God’s existence but have a hard time praying or asking him for guidance because something you’ve experienced leaves you doubting His power, His grace, His goodness or even maybe His existence all together? When we hold on, for dear life, to doctrines or belief systems that don’t answer life questions it leaves us superficial, full of doubt or anger, and stuck with weak and unstable convictions. Romans 8: 28,”And we know that in all things God works for the good of those who love him, who have been called according to his purpose”. Everything that we experience in life can become good and purposeful, even doubt or any emotion that we deem as negative. Doubt happens when we hit a wall, when something happens that our beliefs tell us was impossible. Let’s say that you belief that God loves good people and will protect them from harm. What happens when someone you know and love is tragically killed? You hit a wall. You ask yourself if God protects every good person then there are only two chooses either that person was not good or God does not exist. Maybe you can even figure out more questions, but all seem to have a negative and unspiritual undertone. It is hard to overcome this, but I believe that people are meant to have experiences like these in order to grow in faith, wisdom and discernment. As people mature they gain a new perspective that had not even fathomed before. 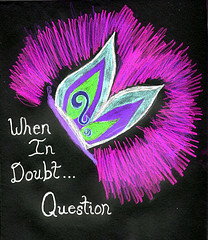 That happens when they allow themselves to doubt and ask, and later get answers to, new questions. 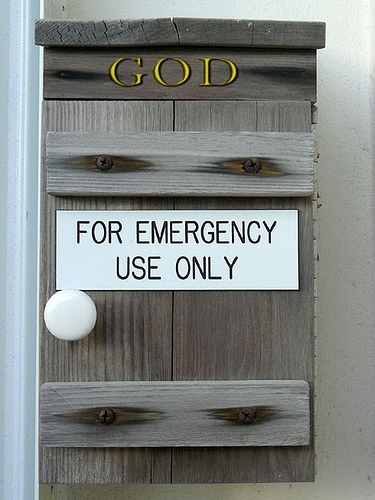 People have said don’t put God in a box; what that means to me is don’t worry about knowing everything about God or answering questions that only he should answer. Instead spend time with God: in prayer, learning to love people more deeply and getting in touch with your own soul and spirit. The more time you spend with Him the more you will understand that though He is stable and dependable he is also flexible. His plan and purpose is different for everyone; but without knowing Him personally it can look as if He doesn’t care or shows favoritism. I use to be leaglistic; I had a long list of Can’ts and Won’ts that left me feeling stagnant, insecure and controlled. Finally I hit a spiritual walls that would not allow me to continue living that way. Now I feel so much freedom and have gained a deeper relationship with God. Thank God for walls, they are there to keep you safe and provide stability: the walls in your house keep out most thieves, highway walls (or dividers) keep a lot of cars from crashing, and emotional walls keep abusive people out of your life. So if you hit a wall, figure out why it’s there, then decide if it is keeping you safe or if it’s time to for a break through. Breakthroughs lead to more faith and joy than you could have ever imagined. Don’t worry about doubting; instead stretch all the boxes of confinement in your life. Can you think of a time when doubting something or someone has helped you?